Belle de Couture: Blue + White Vintage Dress. Blue + White Vintage Dress. Hey dolls! Just a quick post this evening, I have such a busy week ahead of me. I cannot WAIT until the long weekend! This vintage dress is a recent thrift store purchase. I really loved the ruffle around the wait, it reminded me of the old-school wiggle dresses. 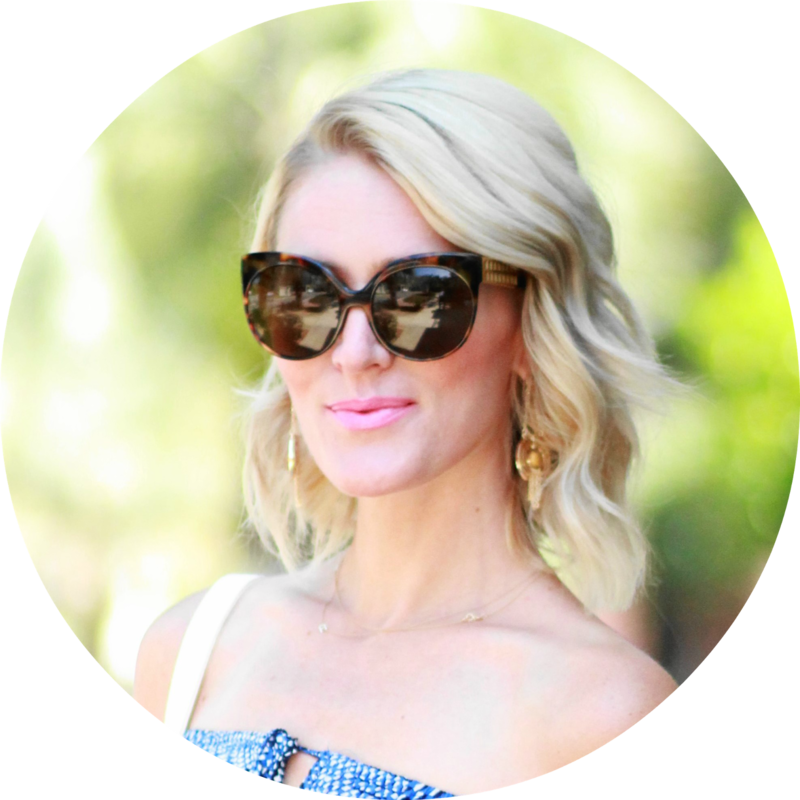 You made this vintage dress look fresh with the heels. I see you are getting a lot of things off your wish list. I can't wait till the weekend as well... I have a four day weekend and I cannot WAIT for the rest and relaxation of it all! another perfectly pretty and put together outfit. you look gorgeous! AH JEN! 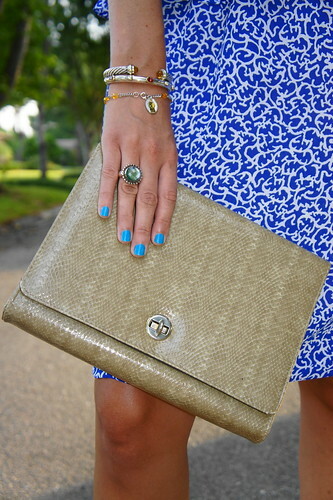 from your nails to the dress.. FABULOUS! I wish I could find vintage dresses with such a great length. 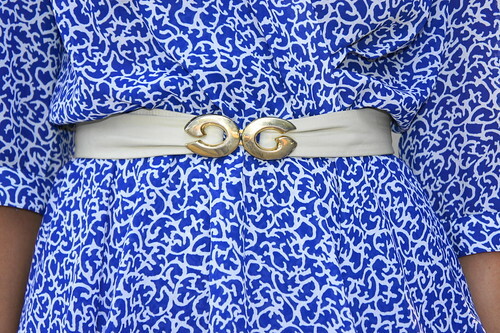 This belt works so perfectly with the blue print of the dress. You look stunning as USUAL! Wow, I really like the heels. Beautiful vintage dress. I also love the heels! You're too gorg!!! Ah! Lovinggg that dress! You always look so fab! I absolutely love everything about this outfit. The dress is stunning, I want to barrow it! You look great, that dress is amazing. The color suits you well. This is so funny I have those same shoes! And a vintage dress almost identical to that one, except mine has a floral pink print. Did you shorten the dress? I think mine fits 3 or 4 inches below my knee. I may have to shorten it a bit to lighten it up like yours. You are one of the most amazing women ever!